While we analyze draft prospects at the quarterback position and soak in the rumors of Nick Foles coming to the Big Apple, there’s one thing that most continue to look past. 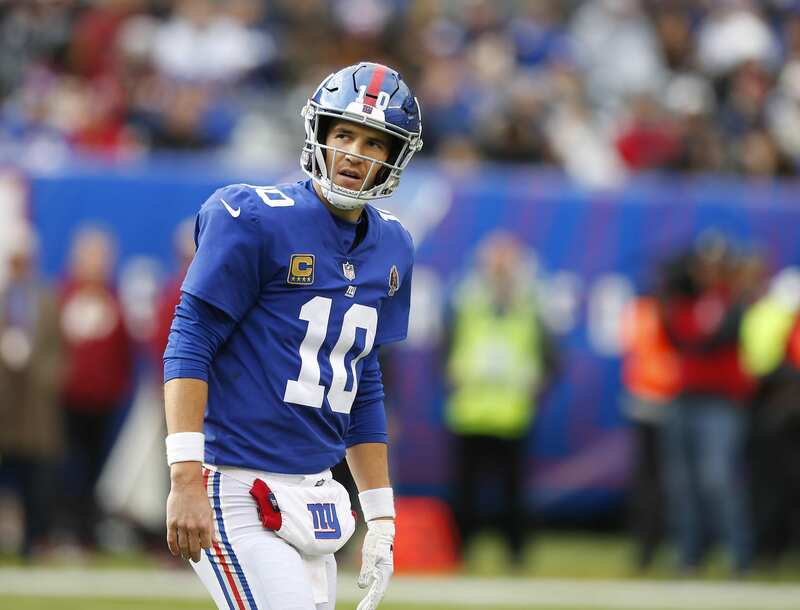 Eli Manning will likely be on the New York Giants in 2019…why? Because he has one remaining year on his contract and there’s no better alternative at this point in time. If the Giants were to cut Manning and his $23.2 million cap-hit next season, they would save approximately $17 million. It’s unlikely the team keeps him at that price, but there is no easy way to release a player that brought two Super Bowls to New York and has the last name, Manning. In fact, it seems as if the Giants have made it apparent that disrespecting him in any shape or form is unacceptable, given how former head coach Ben McAdoo fared after the benching debacle. What must the New York Giants do with Eli Manning? It must be a priority that the succession of Manning is treated very delicately, as disrespecting him will cause an uproar in the media and draw unnecessary attention to a relatively new front-office. Either he stays and he takes a significant pay-cut, or he retires instead of being cut by the team. The pay-cut would ultimately represent another chance for him to prove that he can still be an efficient passer at the professional level. Of course, Manning will accept nothing less than the starting job, but there will be a caveat. If the veteran signal caller is inconsistent and is clearly holding the offense back, he will be replaced by a potential rookie quarterback – Dwayne Haskins, Kyler Murray, etc. This way, it’s on him and he will have a fair opportunity at earning the starting job. If he can operate at a high level, it will give a potential rookie first-round QB time to develop and learn from Manning, and if he struggles, they can make the change sooner. Putting the ball in Eli’s court is the only way to come out unscathed, and that’s what the Giants will likely do. Should The New York Giants Make A Change At Offensive Line Coach?